First, I thought that Cyber Week was the week after Black Friday? I'm assuming not considering my emails, social media feeds and just about everything else has been inundated with the latest offers this week. This made me think how overwhelming Black Friday and the lead up to it can be, especially for those who perhaps do not have much of a disposable income so, I just wanted to discuss this pressure to spend and I'd love to hear your thoughts on the matter too! So, all week, I have seen bloggers and content creators sharing the best Black Friday deals on their social media channels and I am absolutely all for that, if you follow me on Instagram, you'll know that I often share my favourite items of the week or things that I've been loving and I think that this is a great way to interact with your followers and if you are using affiliate links, to earn a little bit of extra money too. However, I feel as though the whole concept of Black Friday can be super intimidating for some people as they perhaps feel pressured into making purchases that they don't really need. These deals are great for the run up to Christmas, if you need to buy a few more presents but you don't have that much money, this is your time to shine and get those offers but there's a difference between buying things that you were planning on buying anyway and buying things because there's a big "30% off" sign splashed all over the website. 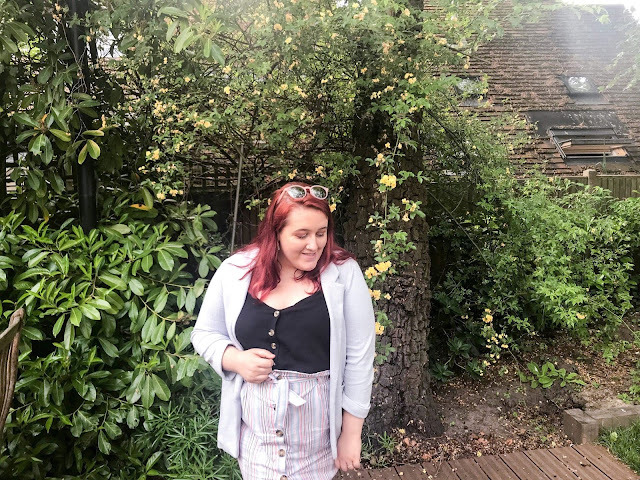 While we all know that I'm a big advocate for treating yourself, there is a line and this is something that I have discussed in a blog post recently. We should all treat ourselves from time to time but this really needs to be in moderation. There's such a pressure nowadays to have the latest new things and I feel as though it's easy to get carried away with the pressure to spend. At the end of the day, it's not worth not being able to afford food or worrying about how you're going to pay your bills for the latest material purchase. This is difficult though because I will admit that I am the worst when it comes to treating myself, I know I don't need any more make up but I buy it anyway and I'm fully aware that's a problem. It's not a problem to treat myself because I know I work hard for my money but it's a problem when I'm then having to worry about how to pay for other things. I wish that I wasn't so materialistic but I can't avoid the fact that I probably am and I think that has a lot to do with the way society has changed in recent years. I am actively changing this though as I have admitted to myself that I just do not need all of these things and it doesn't change my mental wellbeing so I am constantly making changes to my lifestyle to get myself out of the habit of buying things whenever I've had a bad day at University or just because I 'want it'. The more I think about it, the more I think that the overall concept of Black Friday is kind of worrying. You see videos of people literally fighting over the last product in a store and for what? For a material product. There are bigger issues in the world and we are worried about whether or not we are going to get the last pair of reduced hair straighteners. It really does make you think how much of a first world issue this is and I hate it. I hate that I've been sucked into this idea of buying things just because I see them reduced. Josh says that I'm the exact type of person they market these things for because they know that I'm gullible enough to buy it and I hate it. This week, I've placed quite a few things in my baskets on various online shops but ended up taking them out again because like I said, I'm changing the way I view the world and what I actually need. For example, I was going to buy a new pair of boots. I don't need another pair of boots. I have more pairs of shoes than my family members combined. I closed the tab. Why should I make myself worry financially for a pair of boots I don't really need? When you sit and think about it, it's a little bit frightening how much we are all consumed by checking the latest deals and getting ourselves a bargain, reinforcing this extreme pressure to spend. I'm not saying don't make the most of the Black Friday deals. Get the good offers and save yourselves some money, but don't put yourselves in debt for the sake of a new jumper or an xbox. It's just not worth it. Also, if you can't afford to treat yourselves this Black Friday, I know it can feel a little bit rubbish but honestly, it's just material things which do not, at all, define our own personal worth as an individual! This was definitely a bit of a jumble of words but I really hope I got my point across and like I said, I'd love to hear your opinions. What's your view on Black Friday? Let Me Know! What is worse is people going into debt to get the Black Friday discounts! How Well Does My Mum Really Know Me?